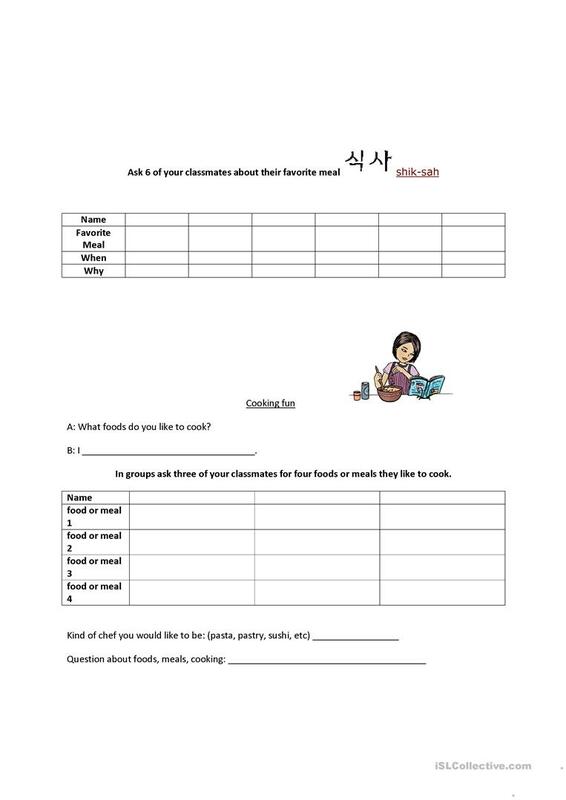 Worksheet students complete by asking classmates questions about food and meal preferences. The above downloadable handout was created for business/professional students, high school students and adults at Intermediate (B1) level. 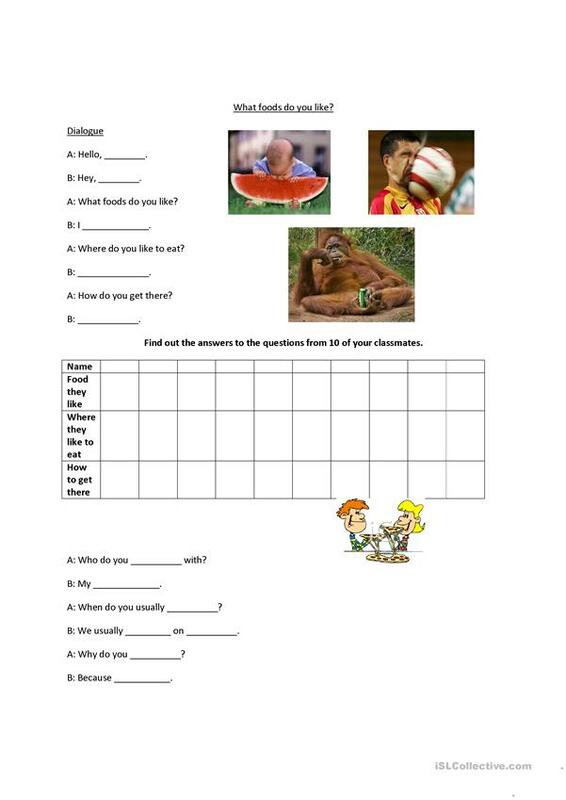 It is valuable for teaching Comparison (comparative and superlative) in English, and is useful for working on your class' Listening, Speaking, Reading and Writing skills. It centers around the vocabulary topic of Food. internick is from/lives in South Korea and has been a member of iSLCollective since 2012-07-30 06:26:24. internick last logged in on 2013-03-27 10:00:52, and has shared 1 resources on iSLCollective so far.